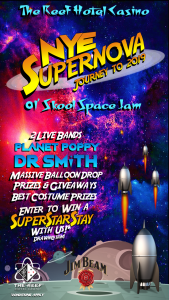 New Year’s Eve at The Reef Hotel Casino is going to be a Supernova party journey to 2019 with an ol’ skool space jam! 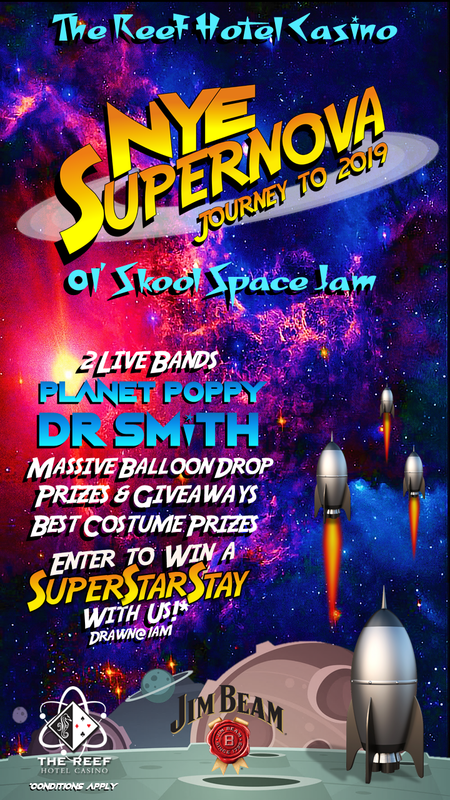 Featuring two live bands, ‘Planet Poppy’ and ‘Dr Smith’, the evening will go off with a massive balloon drop, prizes and giveaways, including the always popular best costume accolade. This is the New Year that the Casino will dare to go where no man or woman has gone before – beyond the realms of the supernova and into the space oddity of the party atmosphere! Organisers are aiming for it to be Cairns’ largest themed party and they want everyone to jump on board. Get hyped up and styled up in your best retro space attire and get ready to party! 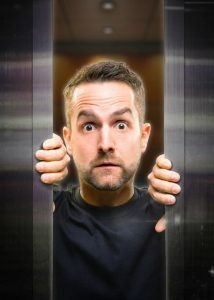 Put your thinking caps on – think The Jetsons, Lost In Space, Star Trek and mix in a bit of Marvel and even some Star Wars, nothing is off-limits and everything goes, as long as you look ready to party. Like everything The Reef Hotel Casino do, live music is at the heart of their entertainment and with two ‘out of this world’ bands, New Year’s Eve party-goers are guaranteed to get their gravity-enhancing dancing shoes on. ‘Planet Poppy’ aka The Tall Poppies will be getting their groove on in BAR36. And ‘Dr Smith’ aka Mr. Smith will be making things funky in the Casino. The music kicks off early and continues all night til the early hours, well past when the clock strikes midnight. Don’t forget there are super prizes for the best costume, although keep in mind that full face costumes can not enter the Casino gaming floor. The annual Casino biggest balloon drop happens when the clock hits 12, and there is also street theatre, fantastic New Year’s Eve giveaways and two DJs onsite, as well as a massive range of Cosmic Cocktails. Party-goers have the opportunity to win themselves a‘Super Star Stay’ – the ultimate Pullman Reef Casino experience worth over$4000, thanks to Jim Beam, drawn at 1am. Conditions apply for the giveaways and competitions – see the Casino for details. It’s an intergalactic party with a vintage twist this New Year’s Eve at The Reef Hotel Casino, kicking off the party from 8pm with the Taipans. The Casino closes at 5am New Year’s Day.